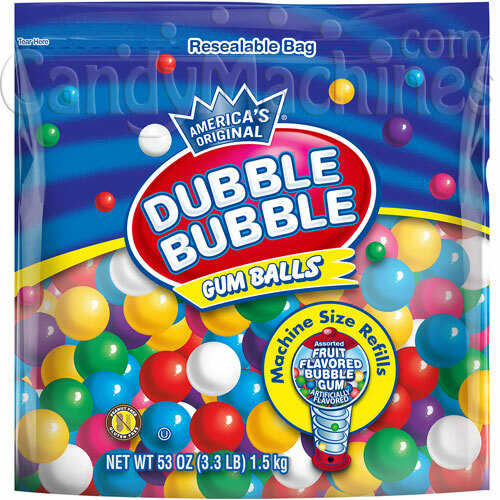 53oz Resealable Bag of Dubble Bubble Refill Gumballs (6 Pack) - Don't need a bulk case? Buy just one bag here. Packaging Note: The Dubble Bubble 53 oz jar has been replaced by the new 53 oz resealable stand up bag. This includes 6 resealable 53 oz bags of gumballs. An assortment of colorful fruity gumballs to refill your Gumball Machines /Banks and Gumball Dispensers, or just to keep around your home or office. Flavors such as: White (Fruit), Pink (Cherry), Yellow (Banana), Pearling Grape (Grape), Orange (Orange), Blue (Blueberry), Green (Lime), Red (Cherry). Each 53 oz. 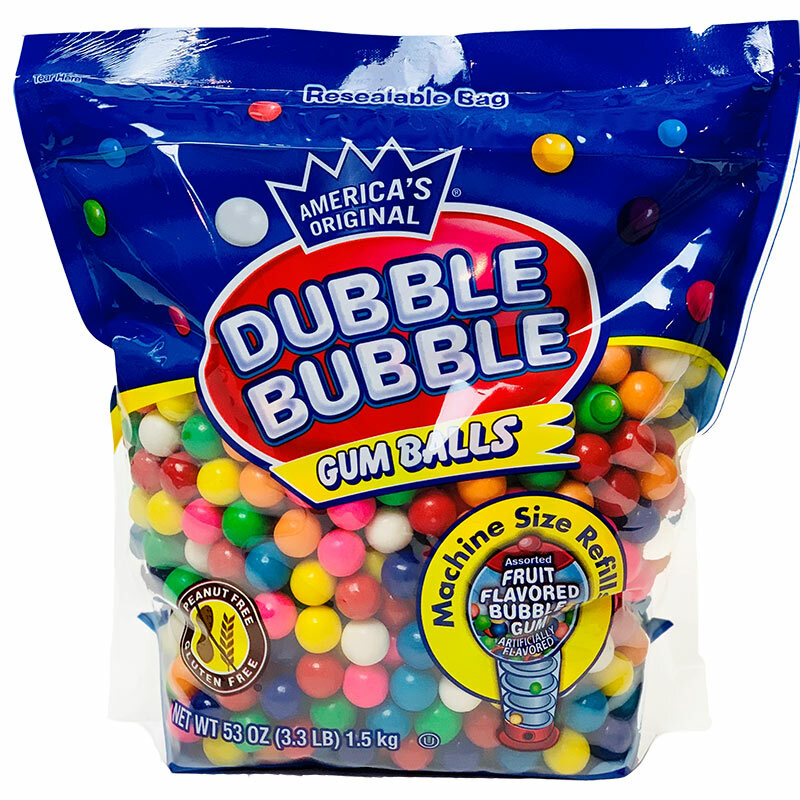 stand up bag contains approximately 680 gumballs and the 1/2 inch size makes these gumballs perfect for refilling your Gumball Banks and Gumball Dispensers. Make sure to check out our full line of Gumball Tubs for other fun flavors! Gumballs store best in a cool, dry, low humidity location. Their shelf life can be up to 18 months if not exposed to extreme hot or cold temperatures. The gum balls were not bad. They did have some of the outer coating missing on some of the balls. My grand-daughters loved them. Comment from CandyMachines.com: Thank you for the feedback. Dubble Bubble Gumballs are delicious! However, in some cold weather situations these gumballs can be prone so some chipping during transit.